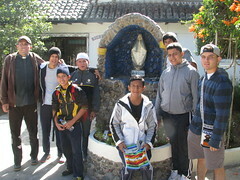 From September 28 to October 3, we went on a pilgrimage to Quito, in Ecuador. There were 7 guys and two Servant Brothers participating. Quito is the capital of Ecuador, and the place where you find one of the most important monuments of faith of the country, the Basilica of the National Vow. The Franciscan Missionaries of the Immaculate Conception welcomed us into their retreat house. We are very grateful for their warm welcome. 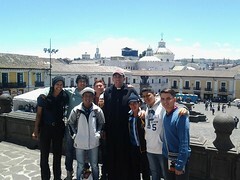 One of the days of the pilgrimage we visited many churches in the historic center of Quito. There were two that stood out, although we were impressed by them all: they were the Jesuit Church and the Basilica of the National Vow. In the Jesuits' church there are the relics of the Ecuadorian saint, Saint Marianita de Jesús. 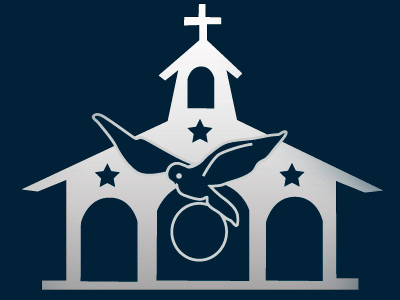 The Church is a temple with much ornamentation and great beauty. There was also a museum with paintings inspired by the meditations of the spiritual exercises of St. Ignatius. Some of these paintings greatly impacted our group. The Basilica of the National Vow is a neo-Gothic church built to commemorate the consecration of Ecuador on March 25, 1873 to the Sacred Heart of Jesus and to the Immaculate Heart of Mary. The basilica is very majestic. It was one of the boys' favorite places.